If we listen to what the car magazines on the news stands tell us, petrol is making a resurgence. The days of needing a diesel to reach 50mpg and higher are coming to an end. Downsizing and turbocharging has led to a resurgence of interest in petrol engines. As diesel engine produce particulates and higher NOx emissions than petrol engines and these are regulated by ever more stringent European law, some car manufacturers have been claiming that this will make diesel cars more expensive to purchase. This would raise the P11D value on which company car tax is based. At the same time, the average pump price of diesel has grown more distant from unleaded at around 8p per litre higher, increasing the annual mileage at which diesel cars become cheaper to own than petrol cars. All of this would appear to be off-putting for people choosing a diesel car. But regular Honest John users will know through the Real MPG section that the fuel consumption figures manufactures are required to publish and that are set in laboratory conditions are often at odds which what is achievable on the road. 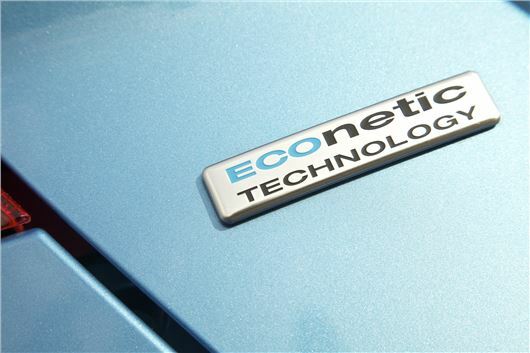 In discussions Fleet News has had with vehicle manufacturers in the UK, Volkswagen has said it has not seen any evidence of a switch from diesel to petrol among fleets. Ford, which has won plaudits for its 1.0-litre EcoBoost petrol engine, would only confirm a greater interest in the technology and increased sales at the expense of the conventional petrol engine it will eventually replace. The latest developments in petrol engines might suggest more miles per gallon, but the reality is often disappointing with engines performing no better than the older ones they replaced. And don’t think that developments in diesel technology are over. Diesel engines might be guilty of falling short of official figures, but by their nature will always be more economical to run than petrol. For company car drivers, the 3% supplement on company car tax that has been levied on most diesel cars over the last 12 years is scheduled to come to an end in the 2016/17 tax year, and diesel-electric hybrids are already exempt. It means drivers choosing a diesel company car this year for the next three or four years will actually see their annual company car tax bills fall during the working life of the vehicle. Plug-in vehicles are still some way from being established as a viable alternative, and the emerging hydrogen fuell cell vehicles will be prohibitively expensive and lack a practical refuelling network for the next few years. Diesel will continue to dominate company car fleets for at least the next 10 years. Despite a premium at the pumps, most company car drivers will be better off choosing a diesel with lower overall running costs than petrol for some time to come.